Three Lok Sabha constituencies in north Bengal - Jalpaiguri, Darjeeling and Raiganj will go to the polls in the second phase of elections on Thursday. The most interesting fight will be in Darjeeling - famed for its tea, timber and tourism. In Darjeeling's Patlebas, the atmosphere appears to be that of election but flags are missing - a stark contrast to the 2017 violence. The Darjeeling Lok Sabha constituency consists of Kalimpong, Darjeeling, Kurseong, Matigara-Naxalbari, Siliguri, Phansidewa and Chopra assembly segments. For the last few decades, Darjeeling has seen a familiar pattern - whoever gets the support of the dominant hill party, wins the seat. The BP won from here in 2009 and 2014, but 2019 is going to be different. Gorkha Janmukti Morcha (GJM) leader Bimal Gurung, who has raised the issue of Gorkhaland, has always been big factor in the area but the Hill politics took a curious turn after he escaped to evade arrest. 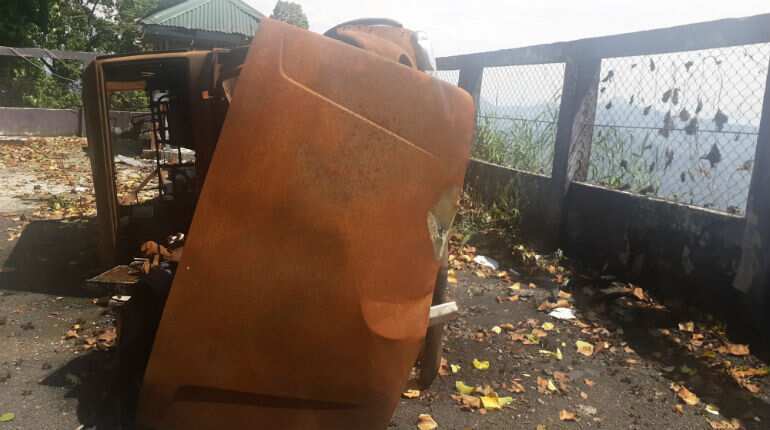 Zee travelled to Gurung's den, remnants of a burned car remind of the 2017 violence. The locality, which earlier had special Gurung army now is desolated, except for two BJP flags in a corner. People here still do not want to speak; they are still in a state of shock. "We had enough, now we need peace," said Gurung's former aide Nirnal. The agitation which started here in 2017 against the state government's decision to make Bengali language compulsory soon snowballed into an intense movement for statehood. It triggered widespread arson and vandalism, massive clashes, multiple casualties, political blamegames and the longest-ever shutdown of 104 days that brought the entire northern West Bengal hills to a standstill till Gurung escaped and GJM's new chairman Binay Tamang called off the protest. But even in hiding, Gurung is not willing to give up without a fight. He has lent his support to BJP's Raju Bista. Boosting it further, the Gorkha National Liberation Front (GNLF) has also supported Bista. The Trinamool Congress has fielded Amar Singh Rai to take on Bisht. Rai, the Trinamool Congress candidate, has the support on the Binay Tamang faction of the GJM. Also in the fray are Sankar Malakar of Congress, Saman Pathak of CPI(M) and Harka Bahadur Chhetri, Jaan Andolan Party president. The Hills will see a good electoral fight and the picture of Patlebas from both the sides will definitely have impact on the voters here. People in Darjeeling's Patlebas still do not want to speak; they are still in a state of shock.